John has been a Fellow of St John’s College, Oxford since 1970 and has held chairs at London Business School, the University of Oxford, and the London School of Economics. He is a Fellow of the British Academy and the Royal Society of Edinburgh. He has been a member of the Scottish Government’s Council of Economic Advisers and chaired the Review of Equity Markets and Long Term Decision Making which reported to the UK government’s Department of Business, Innovation and Skills. Following the outcome of the referendum on British membership of the European Union in June 2016, he was appointed a member of the Standing Council on Scotland and Europe appointed by the First Minister of Scotland, Nicola Sturgeon. 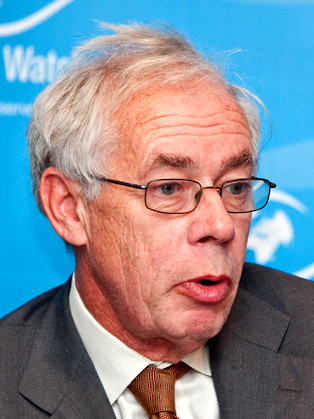 John Kay is a director of several public and private companies. He is the author of many articles and has written for over 20 years for the Financial Times, where he is a contributing editor. His books include Foundations of Corporate Success (1993), The Truth about Markets (2003) and Obliquity (2011): his most recent book, Other People’s Money, was published in 2015 to wide acclaim. The second edition of his 2009 book The Long and the Short of It – finance and investment for normally intelligent people who are not in the industry – was published in November 2016. John’s work has been honoured by many different bodies. He became Commander of the British Empire in the Queen’s New Year Honours List of 2014. He has been elected an honorary fellow of the Society of Investment Professionals and the Chartered Institute of Taxation and received the Daniel J Forrestal III award for Leadership in Professional Ethics and Standards of Investment Award from the Chartered Financial Analysts Institute. He has been awarded honorary degrees by Heriot Watt University, and his alma mater the University of Edinburgh. The Truth about Markets was declared Politics Book of the Year in 2005 by the Political Studies Association. He received the Senior Wincott Award for Financial Journalism in 2011 for his Financial Times columns; Other People’s Money was a book of the year for The Economist, Financial Times, and Bloomberg, received the Saltire Literary Prize for non-fiction and was shortlisted for the Orwell Prize for Political Writing.